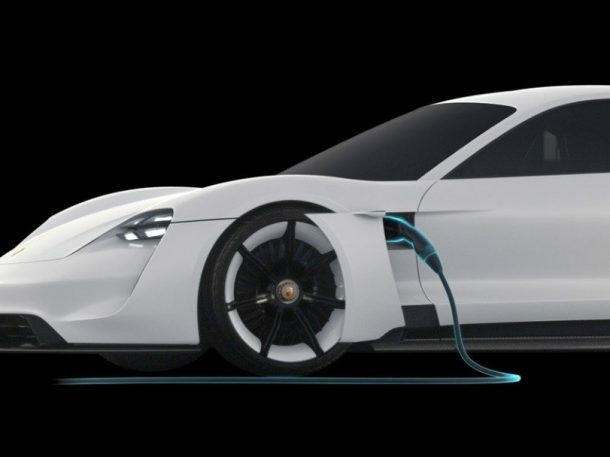 Porsche is working rigorously on its first ever electric car named Mission E, which is expected to roll out by 2020. 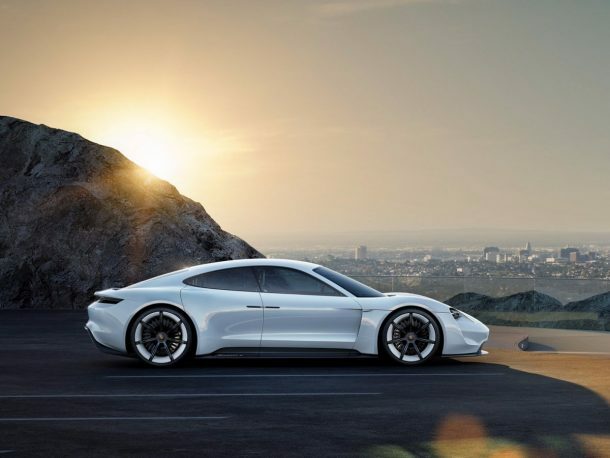 Porsche, which is owned by Volkswagen, announced recently that it will be hiring around 1,400 people solely for Mission E, as reported by Reuters. Mission E was first revealed at the International Motor Show in Frankfurt in September 2015 as a concept car. 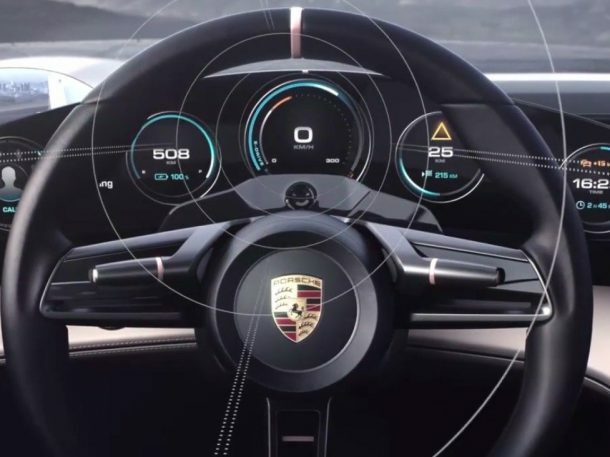 Porsche announced that the car would have a range that will cross 250 miles not to mention other innovative technologies included in the concept car. 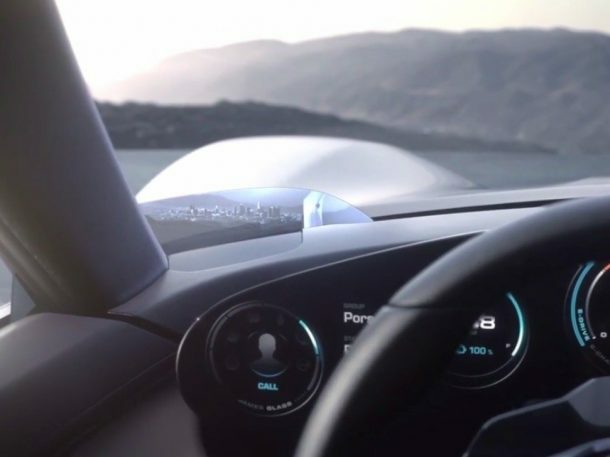 Although the company has not yet revealed which innovative features will make it into the final model, the Mission E concept car unveiled last year does give us an idea of what cool tech to expect in the production model. It seems like Tesla’s Model S will be getting some tough competition. 1. Mission E will be powered by advanced lithium-ion battery technology. 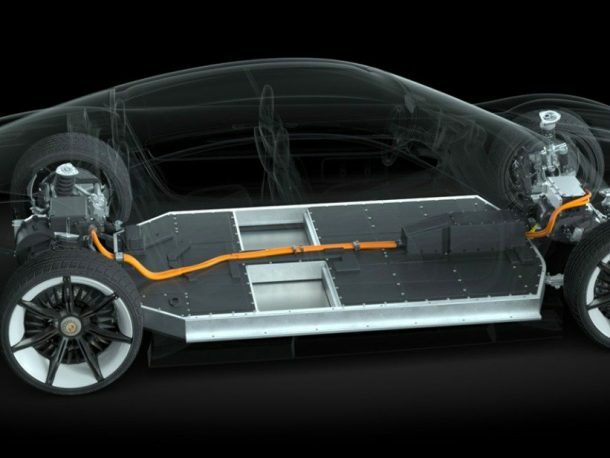 The battery is place under the car body covering its length in full so that the weight is distributed uniformly. 2. 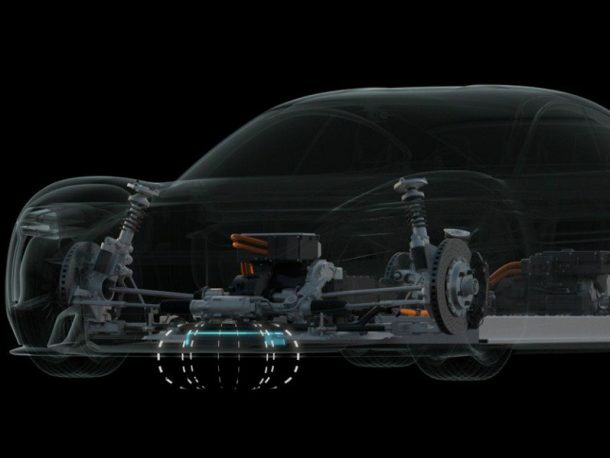 The car is charged by a unique method called inductive charging. To charge the car, all the driver has to do is drive it over a charging base plate installed in the garage and the battery begins charging automatically. 3. Conventional Charging is also an option. You can charge the battery at charging station and home via a cable. The port for charging is present at the side of the front fender as shown in the image below. 4. The car gives a range of more than 250 miles and can be powered up to 80% in just 15 minutes! With a 100% charge, Mission E can drive up to 310 miles distance. According to EPA ratings, it is more than Tesla’s Model S which can roll for 270 miles before another charge. 5. Mission E is an all-wheel-drive car with two motors that generate 600 horsepower. 6. 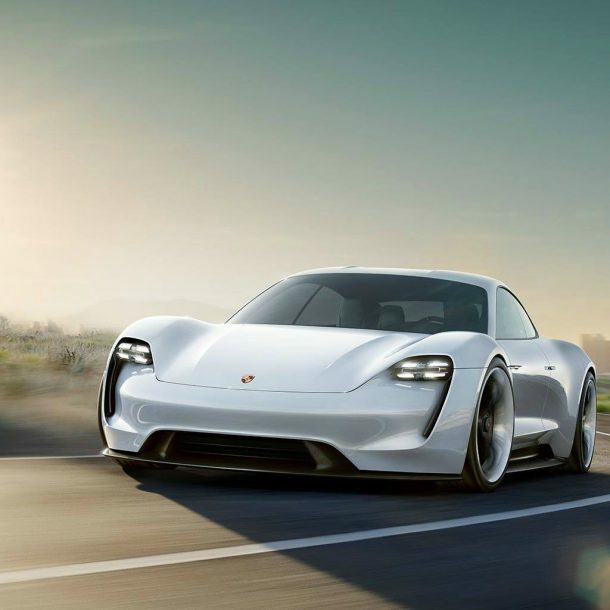 Porsche’s Mission E can reach a maximum speed of 150 miles/ hour and can go from 0-62 miles in 3.5 seconds only. It is fast but well, Tesla’s Model S can go from 0-60 in 2.8 seconds only after the Ludicrous Mode upgrade. 8. 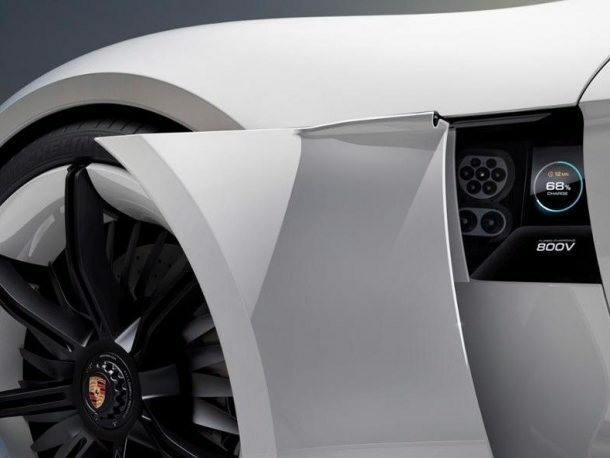 The concept car does not have side-view mirrors. The mirrors are replaced by cameras that captures the footage of car’s vicinity and displays it for the driver on the lower corner of the windshield. Owners can also have augmented safety info displayed on the screen corner. 9. The car has a built-in technology that tracks the movement of the eye. The user can use this technology to control the car’s menu. The camera will detect where the user is looking e.g. dashboard and opens the desired instrument after confirmation. The driver confirms an action by pressing the button on the steering wheel. 10. As the position of the driver charges, the car’s display re-adjusts accordingly. So if you move sideways or up/ down, the display of the augmented interface move with you. It is still hard to decide which electric car is better as neither have released a production model yet. 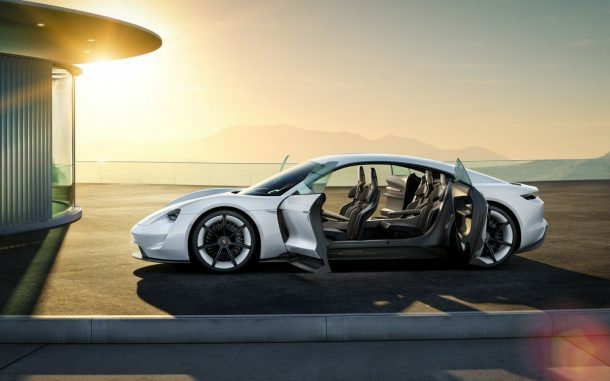 Porsche launched its environmentally-friendly concept car last year with the hope counteract the emission problems and criticisms. Whether Porsche’s Mission E is better than Tesla’s Model S, we can’t say for sure, but there sure is a tough competition between the two. What about you? Which one would you prefer?